For the first time researchers have uncovered a unique ability in bats which allows them to carry but remain unaffected by lethal diseases. Unlike humans, bats keep their immune systems switched on 24/7 and scientists believe this could hold the key to protecting people from deadly diseases like Ebola. Bats are a natural host for more than 100 viruses, some of which are lethal to people, including Middle Eastern Respiratory Syndrome (MERS), Ebola and Hendra virus, however, interestingly bats do not get sick or show signs of disease from these viruses. Published today in the journal Proceedings of the National Academy of Sciences (PNAS) , this new research examines the genes and immune system of the Australian black flying fox, with surprising results. "Whenever our body encounters a foreign organism, like bacteria or a virus, a complicated set of immune responses are set in motion, one of which is the defense mechanism known as innate immunity," leading bat immunologist at CSIRO's Australian Animal Health Laboratory Dr Michelle Baker said. "We focused on the innate immunity of bats, in particular the role of interferons - which are integral for innate immune responses in mammals - to understand what's special about how bats respond to invading viruses. "Interestingly we have shown that bats only have three interferons which is only a fraction - about a quarter - of the number of interferons we find in people. "This is surprising given bats have this unique ability to control viral infections that are lethal in people and yet they can do this with a lower number of interferons." The team also compared two type 1 interferons - alpha and beta. The research showed that bats express a heightened innate immune response even when they were not infected with any detectable virus. "Unlike people and mice, who activate their immune systems only in response to infection, the bats interferon-alpha is constantly 'switched on' acting as a 24/7 front line defence against diseases," Dr Baker said. 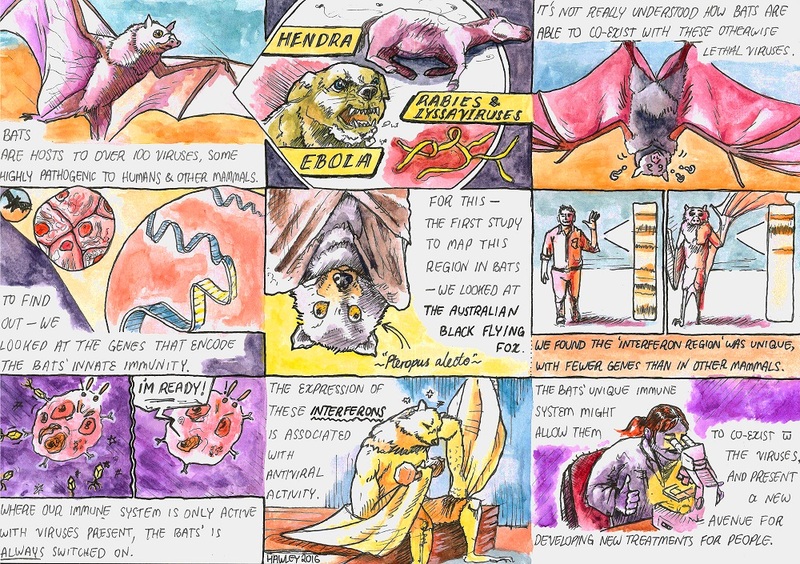 "In other mammalian species, having the immune response constantly switched on is dangerous - for example it's toxic to tissue and cells - whereas the bat immune system operates in harmony." While we are familiar of the important role bats play in the eco-system as pollinators and insect controllers, they are also increasingly demonstrating their worth in potentially helping to protect people from infectious diseases. 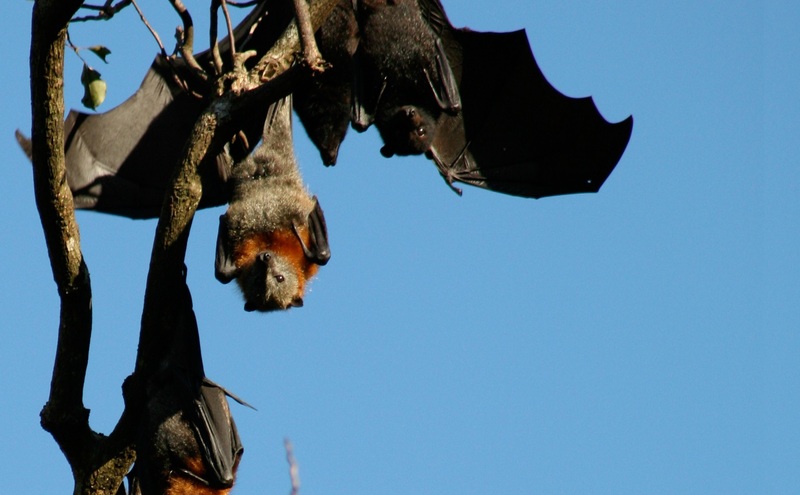 "If we can redirect other species' immune responses to behave in a similar manner to that of bats, then the high death rate associated with diseases, such as Ebola, could be a thing of the past," Dr Baker said. This work builds on previous research undertaken by CSIRO and its partners to better understand bat immunity to help protect Australia and its people from exotic and emerging infectious diseases. Led by CSIRO, this international research effort included expertise from CSIRO, Duke-NUS Medical School and the Burnet Institute. For the first time researchers have uncovered a unique ability in bats which allows them to carry but remain unaffected by lethal diseases. 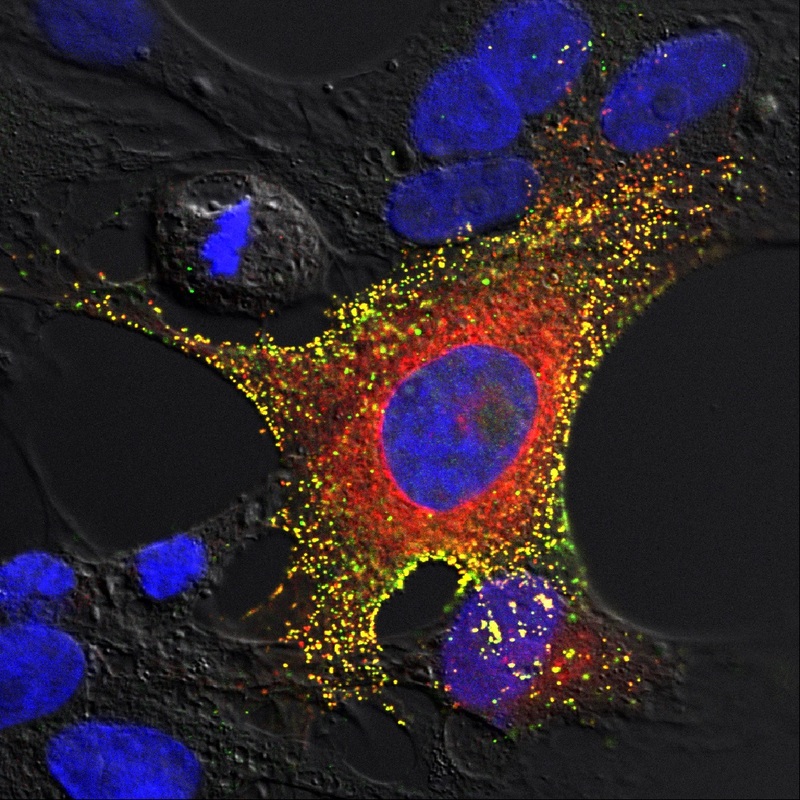 Here is a confocal microscopy of bat cells infected with the Hendra virus.